The elegance, grace and power of the American Eagle soaring over a slab of solid black granite truly represents a timeless symbol of grandeur. These unique, abstract monuments to personal achievement are meant to recognize and reward the leaders of your organization. 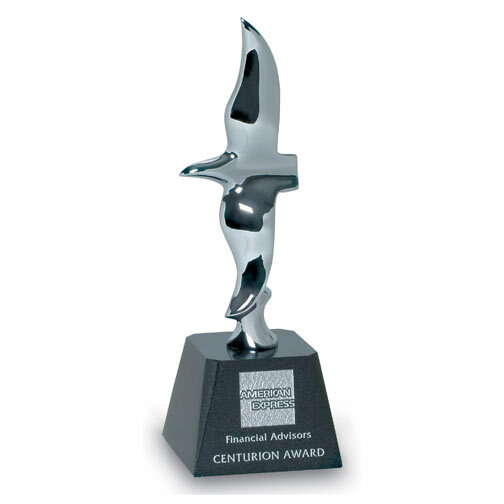 Each modern eagle is finished with highly polished chrome over bronze. At 15.5� tall and 12� tall respectively, their stately presence will make a commanding statement wherever they make their home. Presentation / Gift box included.